STV understands the Tynecastle side want £1.3m for the duo and Rangers fell short with offer. 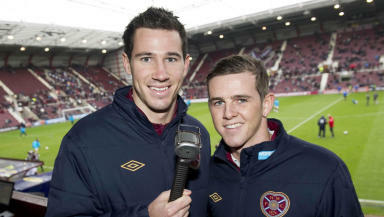 Rangers have had a joint bid for Hearts pair Ryan McGowan and David Templeton rejected. STV understands the Ibrox club made their offer on Thursday but failed to meet a combined £1.3m valuation for the two players. It is understood Rangers bid was under £1m. As part of the negotiations, the Third Division side also agreed to pay immediately an outstanding £500,000 due in the summer of 2013 for the transfer of Lee Wallace. Both McGowan and Templeton featured as Hearts drew 1-1 with English Premier League side Liverpool in the Europa League, with the latter opening the scoring for the Gorgie side before Luis Suarez secured a 2-1 aggregate victory. 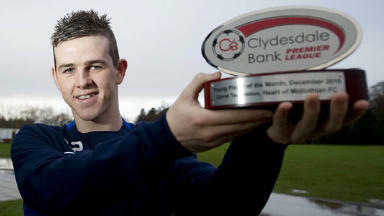 Templeton, who was subject to an initial enquiry from Rangers earlier this week, joined Hearts from Stenhousemuir in 2007 and, having spent time on loan with Raith Rovers, soon established himself in the side. A lively winger tipped to play on the big stage, the 23-year-old is named after former Rangers hero Davie Cooper. McGowan recently won his first cap for Australia in their defeat to Scotland, coming on as a substitute in the game at Easter Road. Recruited by Hearts in 2006 from Para Hills Knights, the 23-year-old defender/midfielder has gone on to make 52 appearances, scoring three goals.